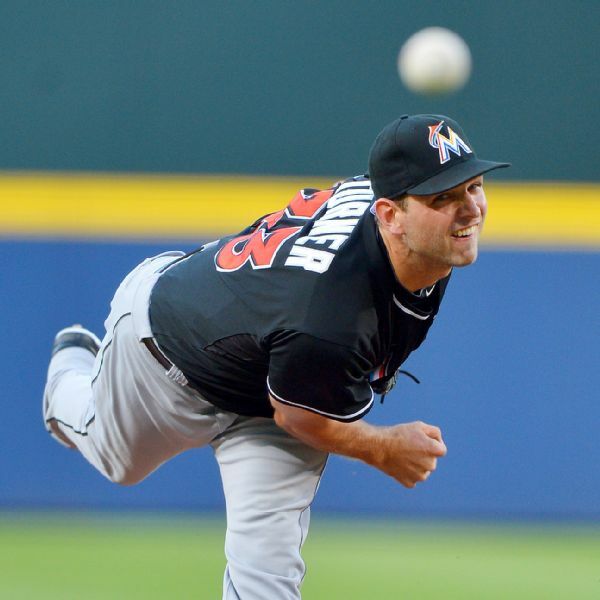 Right-hander Jacob Turner has signed a minor league contract with the Miami Marlins, where he pitched from 2012-14. 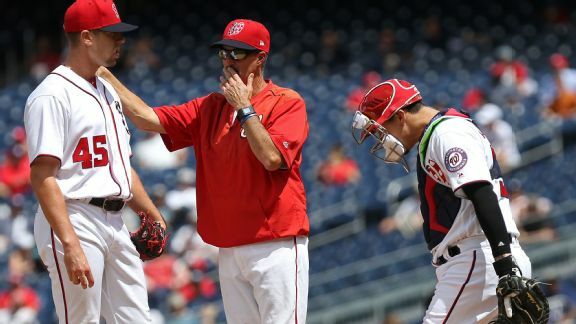 The Nationals blew another ninth-inning lead on Monday, but more troubling, they don't appear to have help immediately ready within the organization. Will Koda Glover solve Washington's closer issue? Maybe. 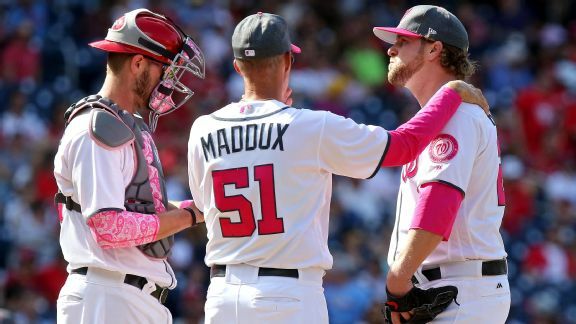 But the larger issue, a bullpen full of holes, still plagues the NL East leader. 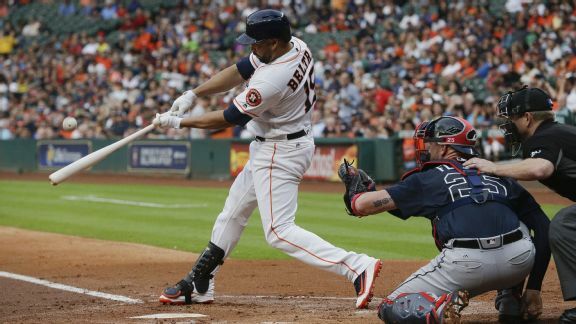 The ageless veterans renew a battle that started in 1998, another Eric Thames home run, and an MLB feat that marks a first since 1890. 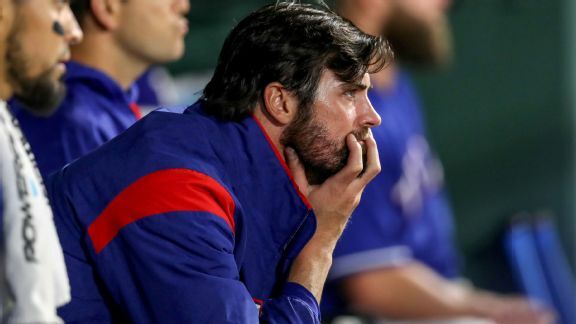 A critical blow to the Rangers' rotation could change this season's trade market, plus other key injuries across Major League Baseball. 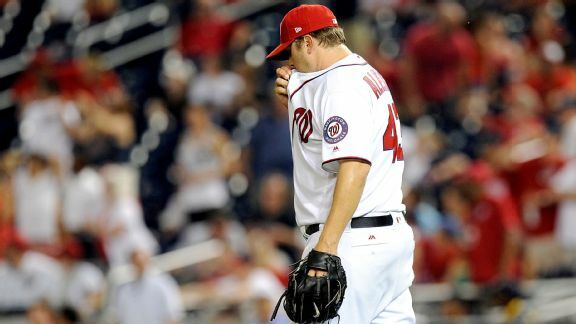 The Nationals reinstated right-hander Stephen Strasburg from the paternity list after the birth of his second child. 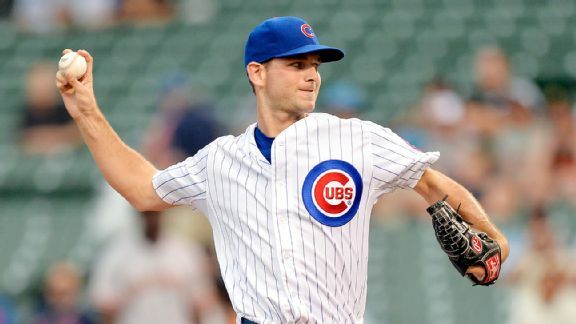 He is scheduled to throw Saturday against the Mets. 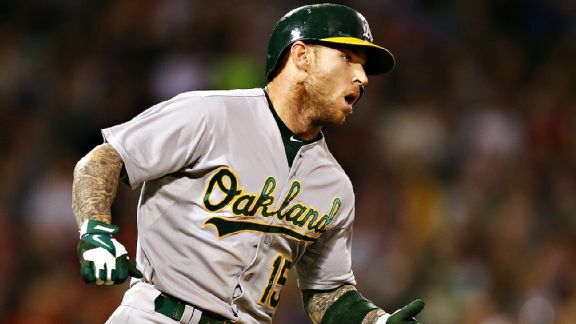 Jacob Turner, who was claimed off waivers from the Cubs but was non-tendered by the White Sox this week, agreed to a one-year, $1.5 million contract.